Now, that Halloween has passed, and we are in the middle of a beautiful fall season, it is time for Faneuil Hall’s Holiday Light and Sound Extravaganza! 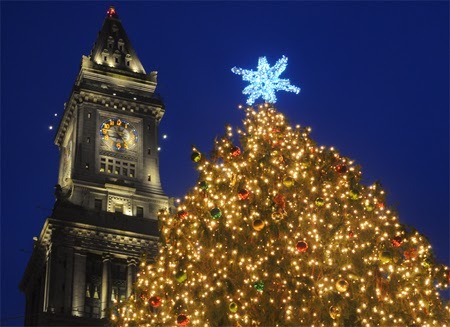 Holiday events in Boston always attract residents and visitors from all over the city! Our staff at Boston’s Boutique Bed and Breakfast is looking forward to this spectacular 2nd annual event. Blink! will be starting November 23, 2013 with the tree lighting ceremony and run through January 5, 2014. The shows occurs every evening, beginning at 5:00pm and runs every half hour until 10:00pm. You may be wondering, “What exactly is this Blink! event?” Well, Blink! 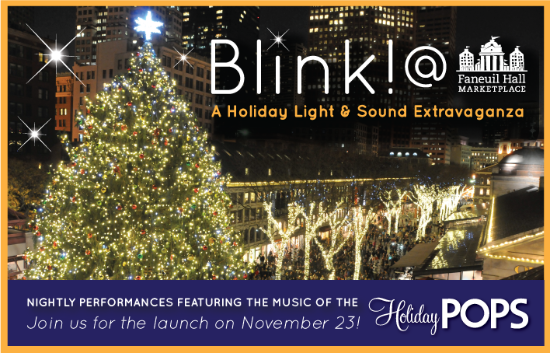 is a light show that uses over 350,000 LED lights to illuminate Faneuil Hall Marketplace in tune with songs by the Holiday Pops. The lights on the trees surrounding the marketplace will dance to the beat of the music, creating the ultimate holiday performance. If you go, you will definitely want your phones and cameras ready to record the show, because it is something you can enjoy time and time again. This area of Boston provides plenty of holiday photo ops. We would not be surprised if we saw a few holiday selfies featuring the beloved Boston Christmas pop by the end of the month! 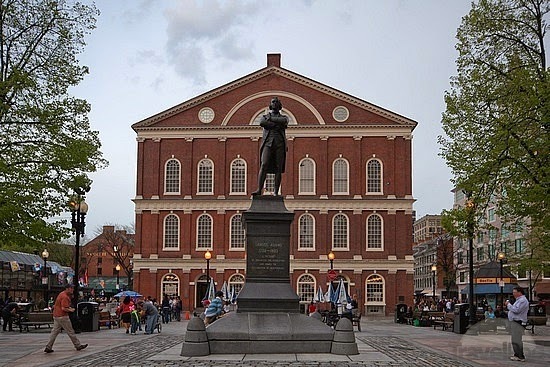 The event takes place at Faneuil Hall Marketplace, which is America’s first open marketplace. Faneuil Hall Marketplace is actually four places in one- Faneuil Hall, Quincy Market, North Market, and South Market. 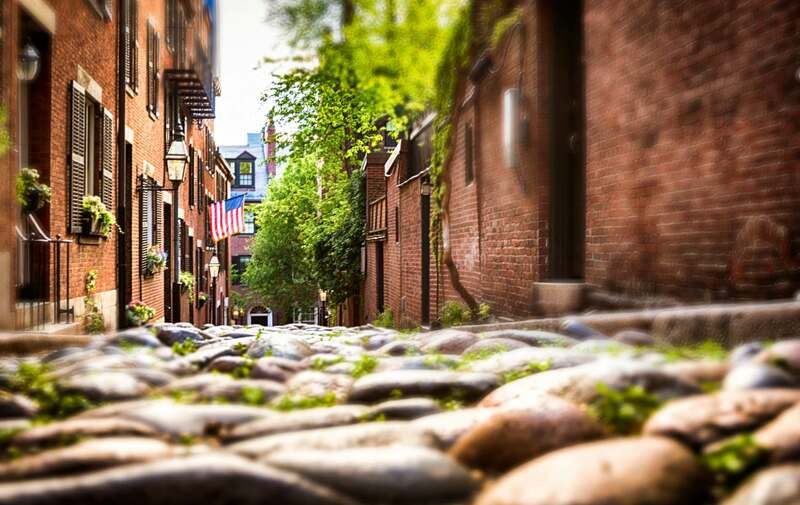 This is a great area to dine, shop, or just enjoy the beauty of the old cobblestone walkways. The notable Boston Freedom Trail passes through here as well, so you are likely to get a glimpse of the holiday decor on you historic trek through downtown Boston. There is always a hub of activity happening here. You may see some street performers, from jugglers to musicians. Faneuil Hall Marketplace is definitely an area you can go to and just explore. Whether you are a first time visitor, frequent visitor, or resident of Boston, our bed and breakfast highly recommends going to Faneuil Hall Market at least once during your time in Boston this holiday season!